A collection of various documents used after the 1998 fire, in the Save the Clocktower campaign. Includes petition sheets,letters, notes, meeting agendas and notes, etc. Description A collection of various documents used after the 1998 fire, in the Save the Clocktower campaign. 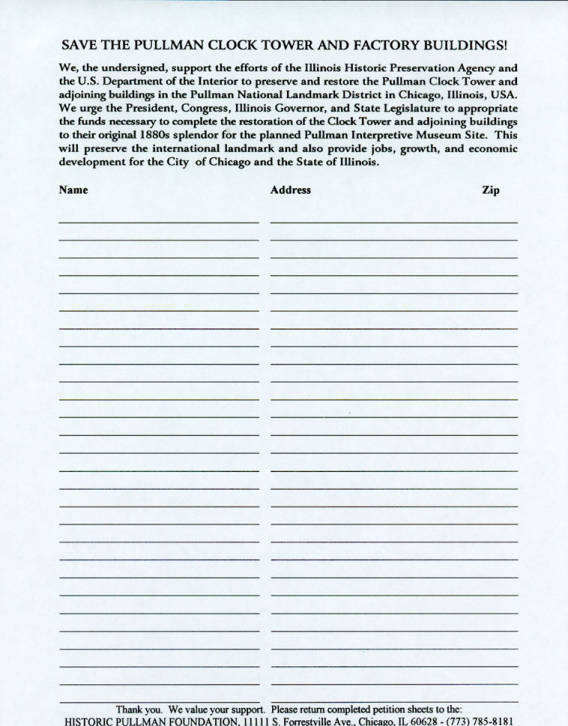 Includes petition sheets,letters, notes, meeting agendas and notes, etc.